A judge turned down a prosecutor's motion Monday to send Chris Brown to jail, citing the R&B singer's continued good behavior and progress in a rehabilitation program. Superior Court Judge James R. Brandlin said probation officials reported that Brown is making good progress in treatment and must remain in the program unless he is given permission by the court or his probation officer. Brown was sentenced to three months of in-patient rehab in November after the singer was arrested and charged with misdemeanor assault over an altercation several weeks earlier in Washington, D.C.
A prosecutor sought to have Brown thrown in jail during Monday's hearing and called for a full probation violation hearing, which would have resulted in evidence about the D.C. case being presented to Brandlin. Los Angeles Deputy District Attorney Mary Murray cited the new case as the basis for removing Brown from rehab and placing him in custody. "He continues to pose an increasingly violent danger to society," Murray wrote in a motion, citing the D.C. case and an incident in which Brown threw a brick through his mother's car window after a therapy session. Murray said she made the motion on Monday because she now had information about the man whose nose was allegedly broken in the attack that allegedly involved Brown and his bodyguard. Brown's attorney Mark Geragos argued that the only changes in Brown's behavior since the December hearing were positive, and the court should wait to see how the D.C. case is resolved before having an evidentiary hearing. 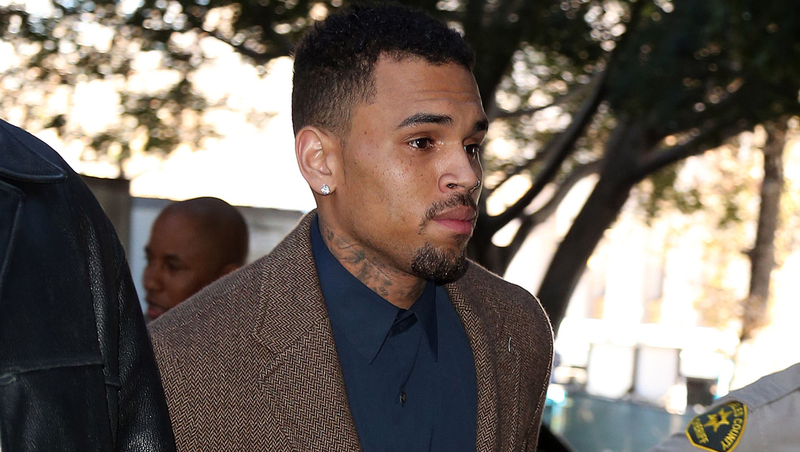 Brown's lawyers have said the singer is not guilty and rejected a plea deal; the case is due back in court on Feb. 20. Brown remains on probation for his 2009 attack on his then-girlfriend Rihanna hours before the Grammy Awards. As recently as last year, the two were spotted out together, but have apparently since cooled things off. Brandlin ordered Brown to return to court on Feb. 28 to update him on his progress. He said the singer had already completed 191 of 1,000 hours of community labor that were ordered after Brandlin found the Grammy winner violated his probation after failing to exchange information properly after a car crash last year. He said probation officials reported that Brown "appears to have a more serious and responsible demeanor" since checking into rehab. Last summer, Brown canceled a string of shows in the wake of his legal troubles. He also had been readying a new album called "X," which is expected out this year.